Review: Wow! This book went above and beyond my expectations! Think of it as Earth’s humorous autobiography. The voice that Stacy McAnulty gave Earth is perfect, and you learn things too! Although the book is silly and is told from Earth’s point of view, it is still a book that should be taken seriously because the knowledge it (and the back matter) holds is tremendous. It goes through the history of Earth is a truthful yet understandable way. Kids will leave the book knowing more than they did before but also really interested in learning more. 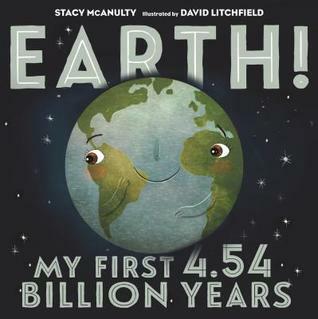 Stacy McAnulty’s narrative with David Litchfield’s cartoonish illustrations lends itself to the perfect picture book for entertainment and information. Just check out the flagged passages to see why I say this is a must-get book! Teachers’ Tools for Navigation: When Earth’s history is first introduced in elementary school, Earth! would be the perfect introduction book because it goes over the entire history in a way that students will pay attention to but also without dumbing down any of the information. How did the author use text features throughout the book? How did the author’s use of an unconventional narrator help you understand the history of Earth better? What humorous parts of the book were your favorite? Why? Using the ruler visual within the book, how much of Earth’s history have human’s inhabited? What else do you learn from this visual? Read the back matter of the book. 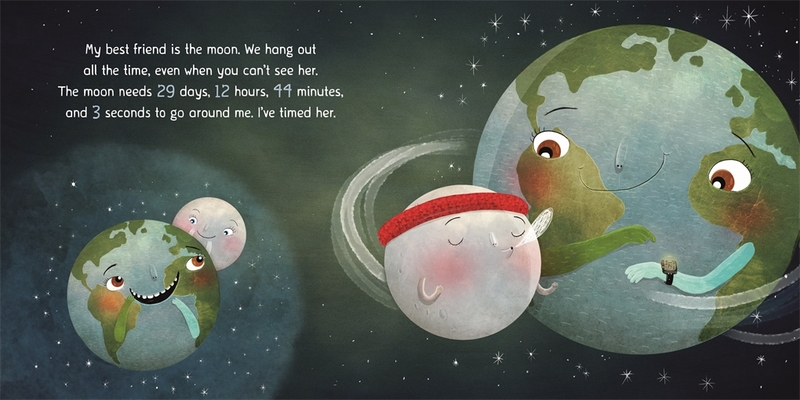 What else did Stacy McAnulty teach you in the back of the book? 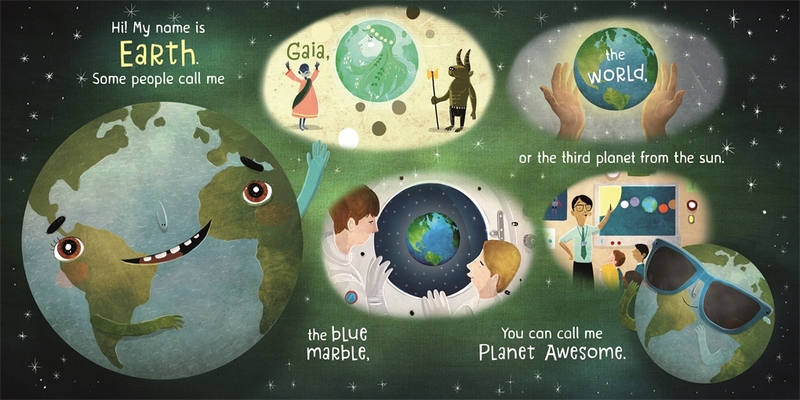 What is something new you learned about Earth or the solar system in Earth!? 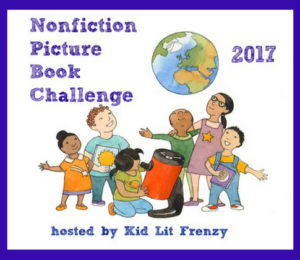 Would you classify the book as fiction or non-fiction? Why? I love finding funny nonfiction! Imogene is very interested in the short movie at the museum that shows the earth changes, then there’s more in the evolution displays. This looks like it will teach a lot while being somewhat silly too. Thanks! I just saw this yesterday. I need to read it.